Today’s food choices, from upper right: multivitamin x2; cheesy barbecue turkey meatloaf mini with broccoli and cheese (not shown); Sargento reduced fat cheddar cheese stick; Boar’s Head maple glazed turkey slices; beef tenderloin from 3 little sandwiches (and a bite of the bread), cheddar cheese slices and grapes; one egg omelet with ham and cheese. Not shown: Trader Joe’s dark chocolate wedges with caramel (I ate 2 pieces, which is one serving). Today was a stellar day in terms of protein and activity: I got in 91 grams of protein, all from food. No protein drinks needed! According to Fitbit, I earned 640 calories of activity today from all the walking and standing I did at work and after work today, so I call that a win. Because I am involved in a couple of organizations that have social functions that often involve food, I find myself attending many receptions and parties where appetizers are passed and where alcohol is served. Tonight was no exception, as I attended a reception for my alma mater’s new President in the home of a fellow alumni couple, and there were appetizers and alcohol present. How to navigate situations like this can be a challenge, but they don’t have to be. I thought I’d share some of the strategies I’ve employed when finding myself in these situations so that if you are also a post-op, these might be useful to you. Keep in mind that I am just a little over two months out from surgery but the strategies I use could be used by anyone at any stage where solid foods are allowed. Be sure you have drunk plenty of water before attending the event. Sometimes thirst mimics hunger. I have learned to drink at least 2 cups of water before events I know food will be served at so that I am not tempted to overeat because I’m “hungry” when really it’s just that I’m thirsty. If it is possible to look at a menu to see what is being served, do so. Thankfully, for the event I attended tonight, I was able to see a menu so I knew well in advance what would be available for me to eat. There were little sandwiches with beef tenderloin and grilled chicken, a cheese plate, a fruit plate, antipasto skewers–all of which were things I knew were sleeve friendly. This is not to say that all the food was sleeve friendly–it wasn’t, but I chose the things I knew I would be able to eat and be satisfied with. If it is NOT possible to see a menu before attending the event, scan the available offerings without picking up a plate. This was the strategy I employed last week when faced with a buffet and an unknown menu. Before I even got in line, I looked over what foods were available without a plate in hand. Not having the plate in hand kept me from picking up the things I knew would not be conducive to my success (fried chicken fingers, mini egg rolls, potato chips, brownies) and gave me the chance to see what things were available that would be better choices (cheese plate, meatballs). Once I determined that there were things I could enjoy, I got a plate and went through the line and served myself only what I knew I could eat in appropriate portions. Focus on the reason you’re at the event. I spent a lot of time talking and visiting with the other people at both of the events I’ve had to attend in the past week. This shifted my focus from what was available to eat to conversations with people I don’t get to see all that often but who I enjoy spending time with. Eat before you go to the event and then do #4. I have had to do this several times because I knew ahead of time there would be nothing available for me to eat at all. I don’t have any tips about alcohol consumption at this point because I’m still too early out to have any, per my surgeon’s instructions. I was instructed to wait until the spring to have any alcohol, so I will be waiting until then to have my first post-op drink. Because I really want it to be a hibiscus martini from Commander’s Palace, I may be waiting a little bit longer than the spring. Seriously, that martini is the Best. Drink. EVER. Hopefully those protips will help you navigate social situations where food is involved. They’ve worked well for me so far, and I anticipate that they’ll continue to work as I gear up for holiday season and an increased amount of parties, receptions and events where food is present. I hope that they are helpful to you as well. 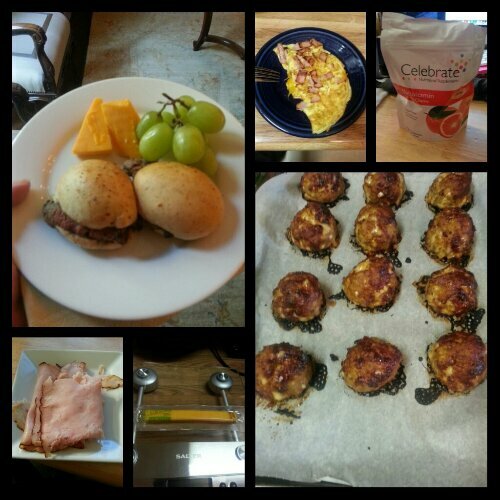 This entry was posted in challenges, daily bites, eating, post-op, success, vsg, weight loss surgery and tagged challenges, choices, daily bites, oh behave!, post-op eating, post-op life, she's got skillz, social eating, VSG, vsg realness, WLS. Bookmark the permalink.